Nordic walking can be a good tool in helping you to enjoy the foods you love, while staying in a healthy weight range for you. There are few other activities that are as good as burning off calories. My weight is spot on for my height — I’m 178 cm tall and weigh 77.5 kg (5’10” / 171 lbs.) I am a Weight Watchers for Men member because I want to live life to the fullest, which includes good eats and drinks and I want to stay in that healthy weight range. 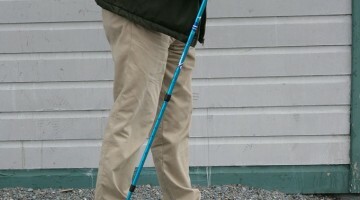 For me, Nordic walking is a fun weight management tool to keep me in that range, in conjunction with Weight Watchers for Men. 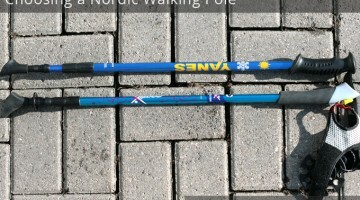 The Nordic walking is fun because I enjoy it as a sport; but it’s also efficient and effective which is important to me. It burns anywhere from 40 to 50% more calories than regular walking and many deem the workout equivalent to swimming and as good as or better than jogging. 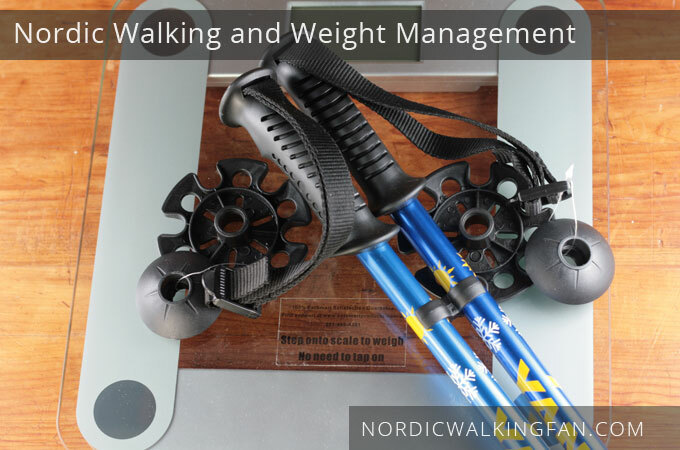 As a Weight Watchers for Men member, I also know that Nordic walking is right up there amongst the top activities in terms of how many bonus points Weight Watchers lets you earn for doing it. In my Weight Watchers tracking, I know that just 90 minutes of brisk Nordic walking during the week earns me 18 bonus activity points and therefore entitles me to 4 bonus glasses of wine on the coming weekend. And because the exercise is so easy and convenient to do, it’s easy to fit that time in even just 10 or 20 minutes at a time throughout the week. In fact, usually I earn a lot more; a LOT more. Hello burger, fries and wings. So while Nordic walking is great to burn off existing calories when you are in weight loss mode, it’s at its most useful when earning all kinds of “bonus stuff” for you when you are in weight management mode. Another thing I’ve learned from Weight Watchers for Men is don’t pork out and then try to burn the weight off; instead, earn the “points” first and then eat them. Way better way to stay in control of maintaining your weight. 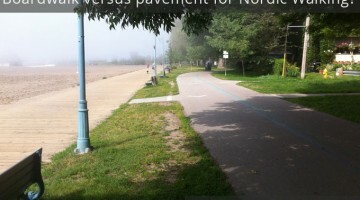 And it’s easy to earn a boatload of points each week with Nordic walking.